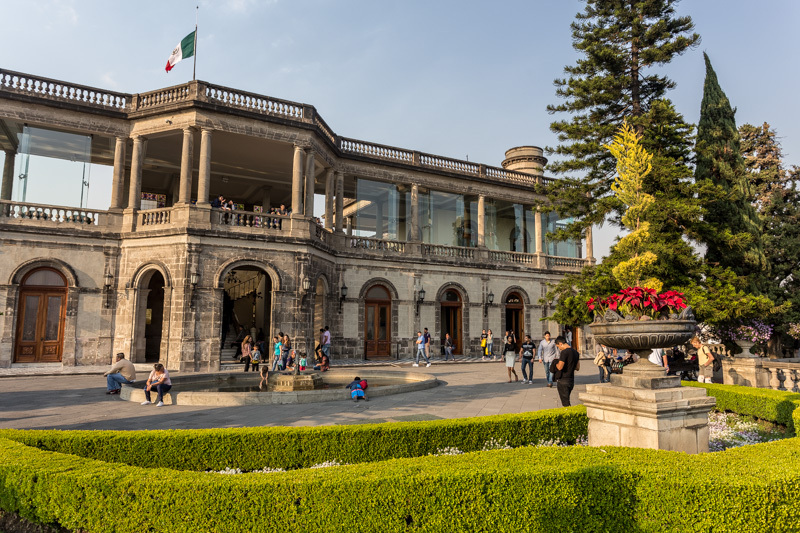 After our time around the Zocalo, we headed to see Chapultepec Castle to wrap up our day of sightseeing. 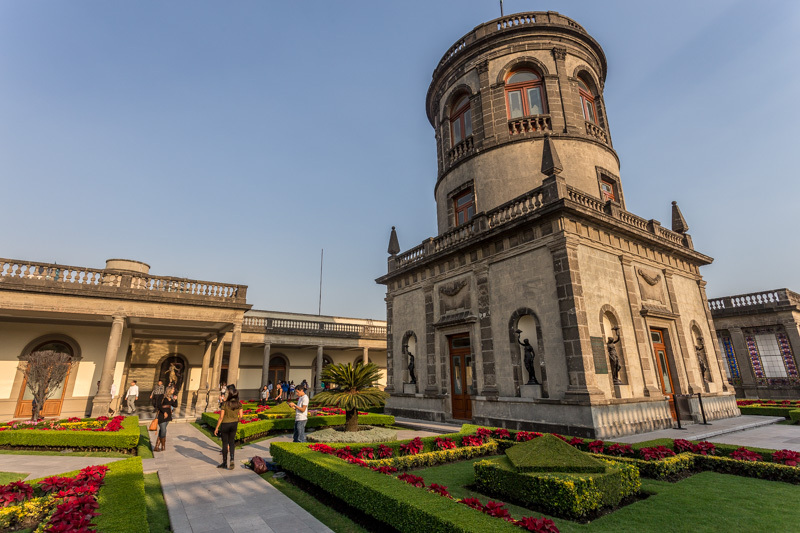 We arrived with 30 minutes to spare, which meant we got in for free, but didn’t have a lot of time to take in all the sights. 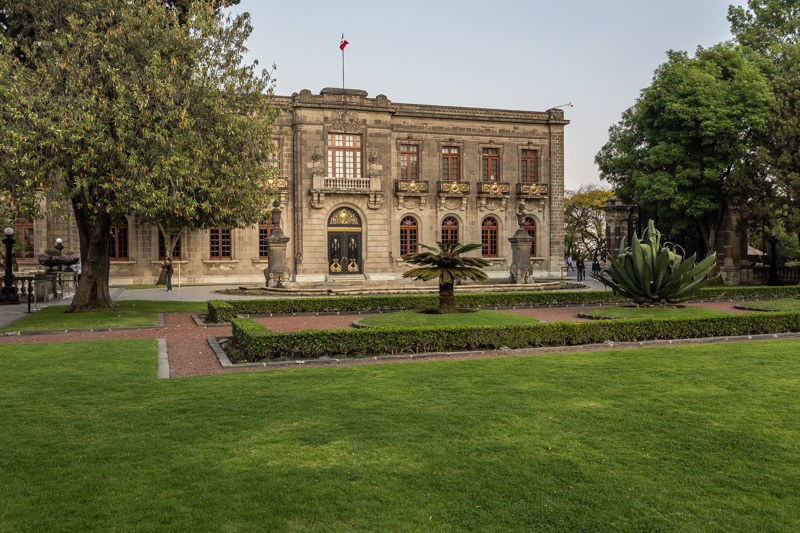 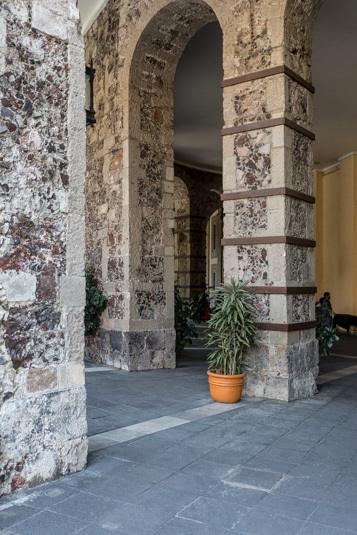 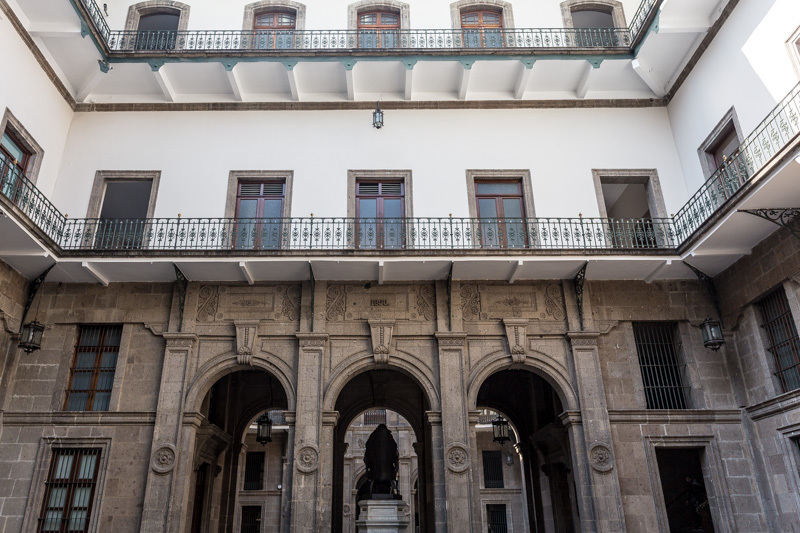 The Palacio National is home to the offices of the president of Mexico and the National Treasury. 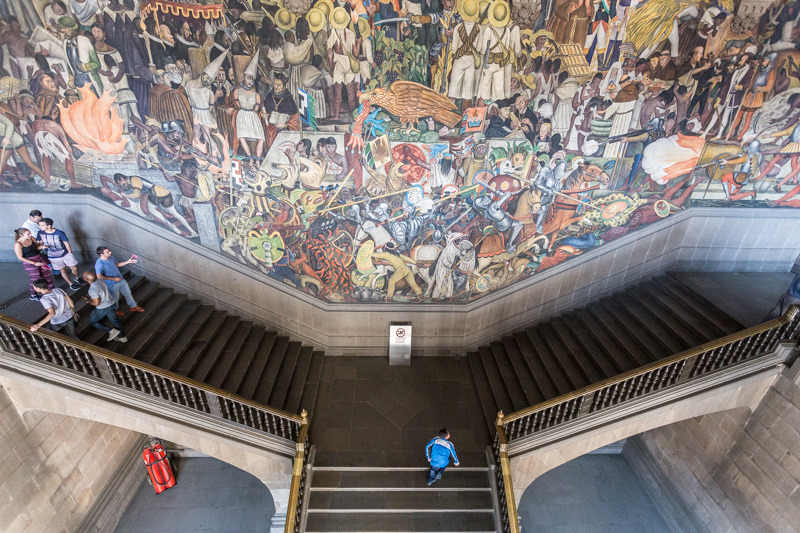 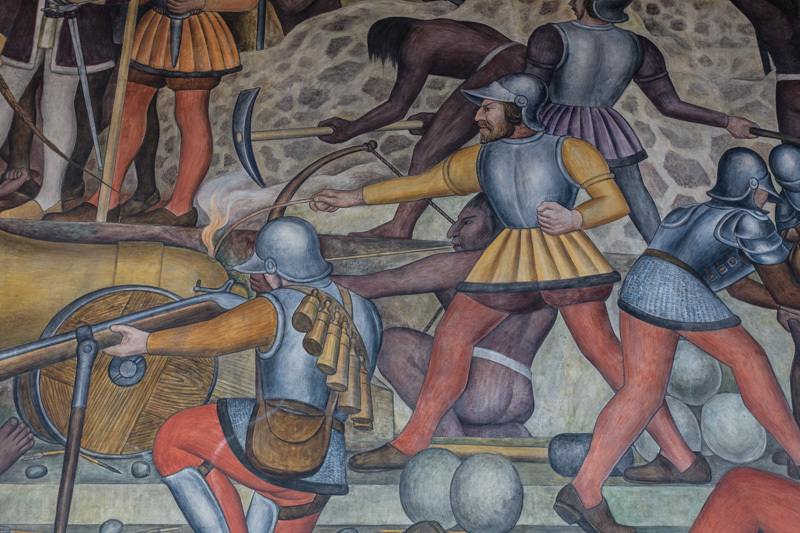 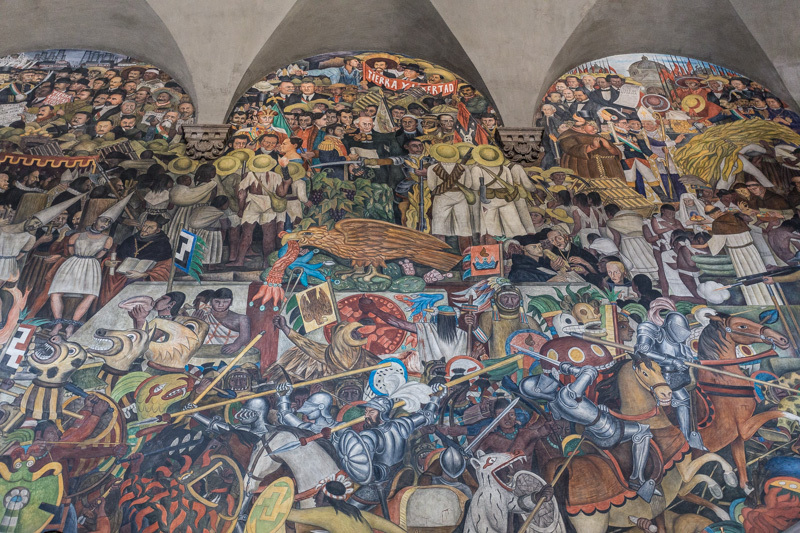 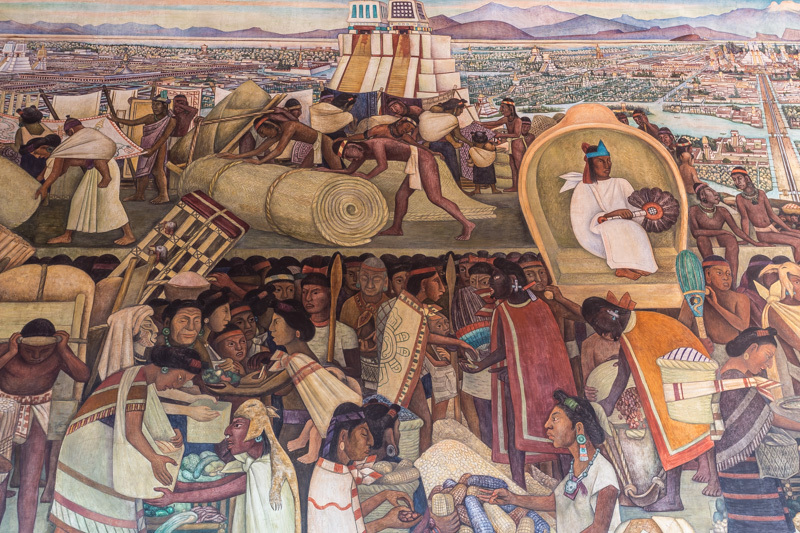 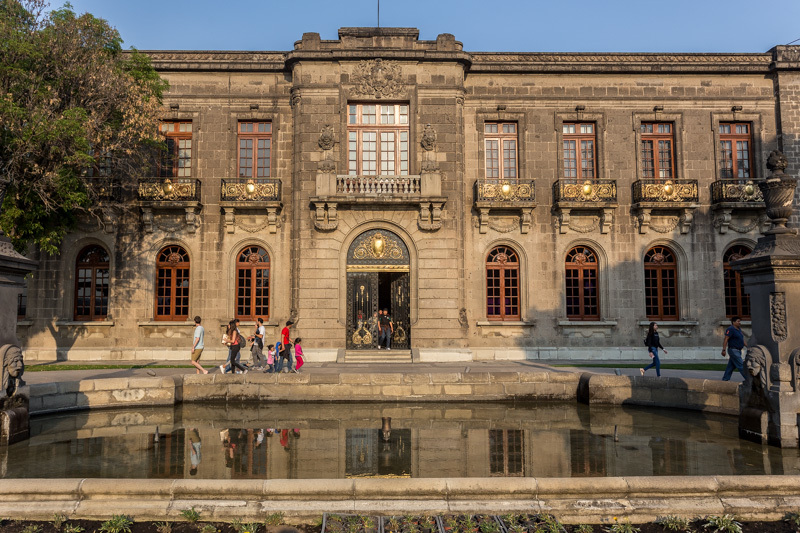 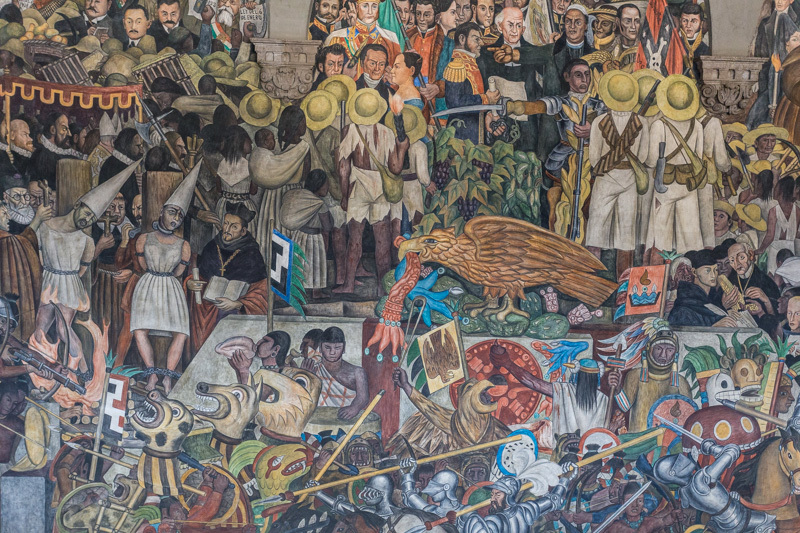 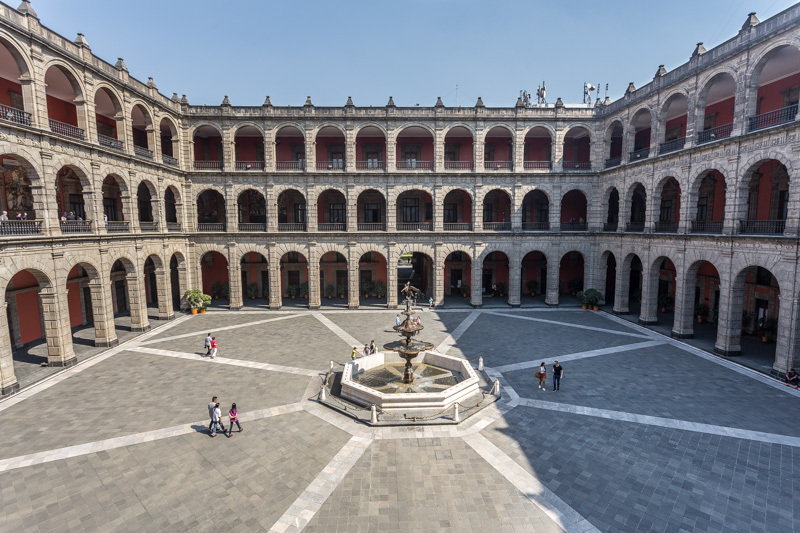 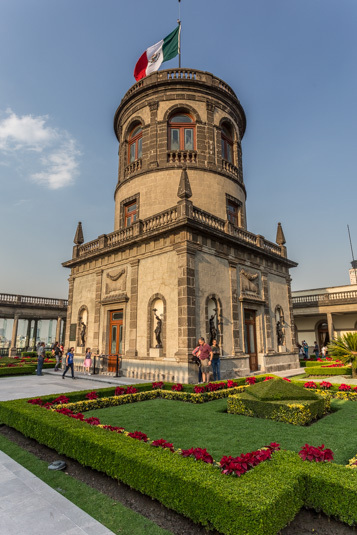 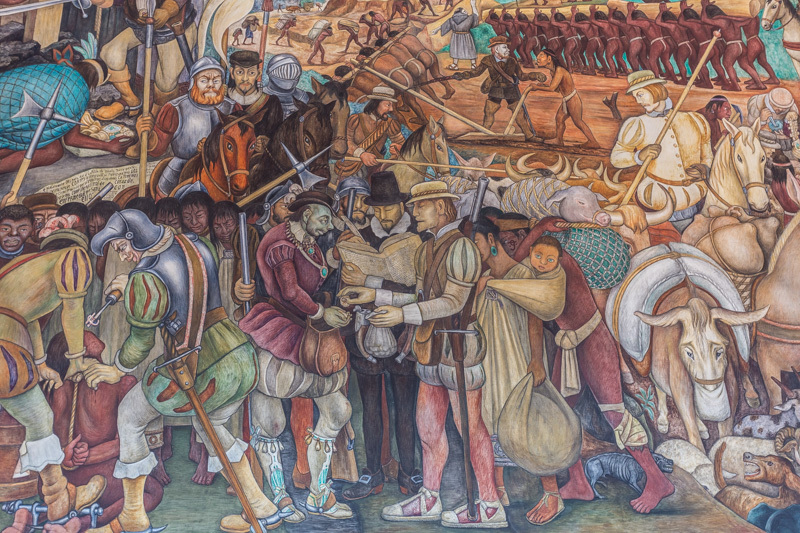 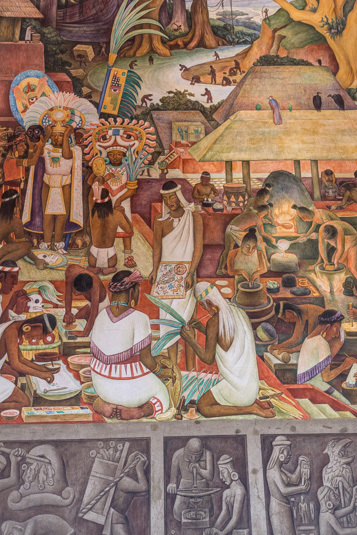 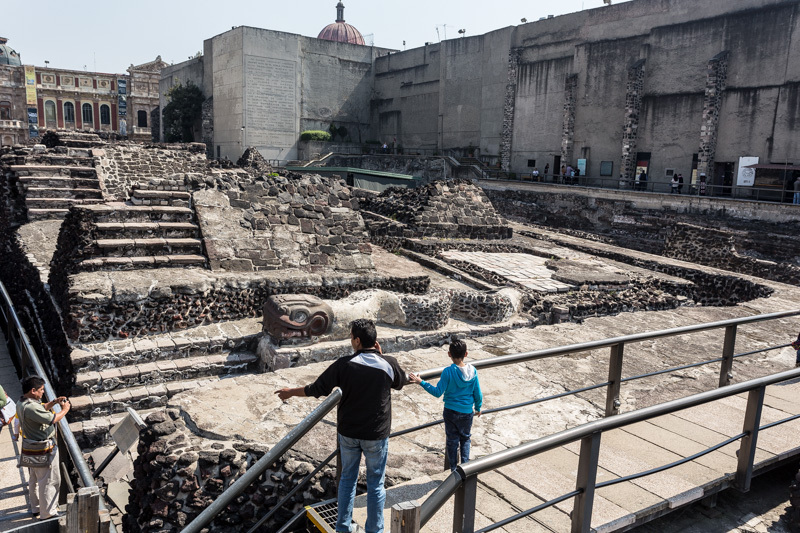 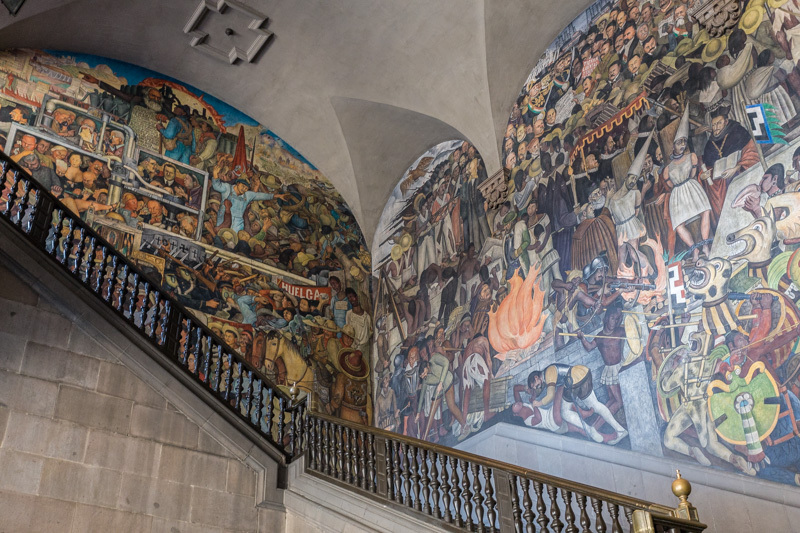 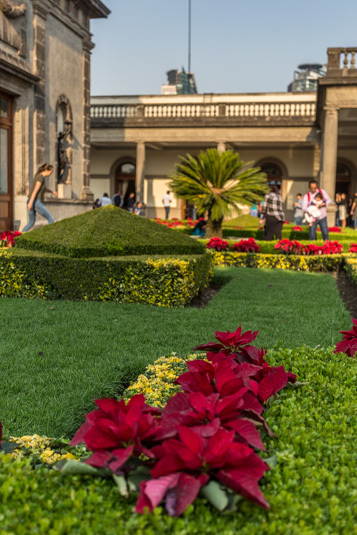 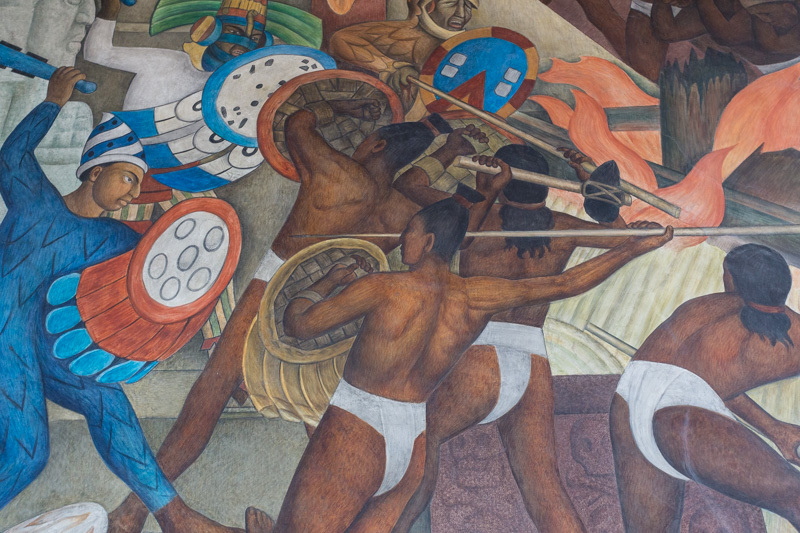 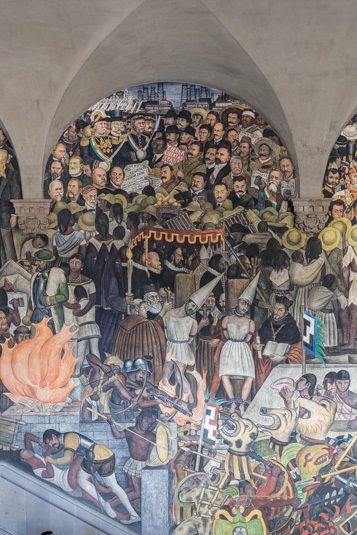 It is best known as home to the nine Diego Rivera murals that depict the history Mexican civilization. 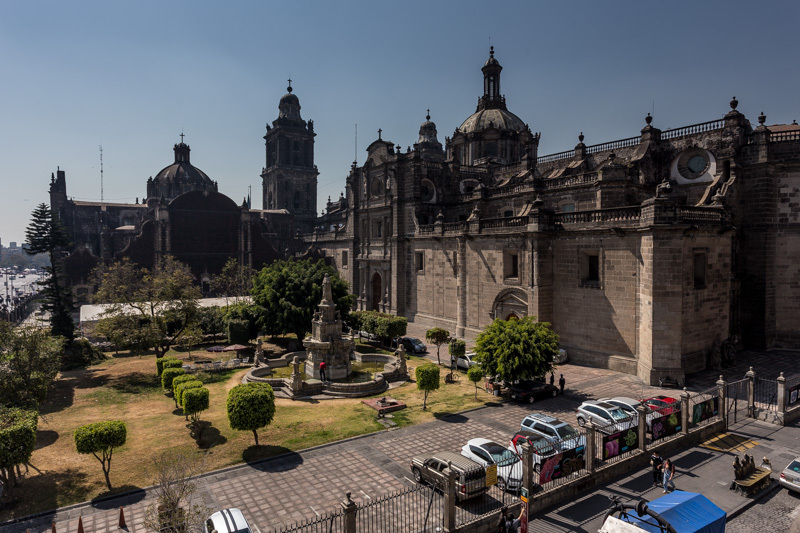 When we found out that DiploMom’s third tour was also going to be in Guadalajara, we decided that we needed to buy another car, so the days of being a one-car household would come to an end. 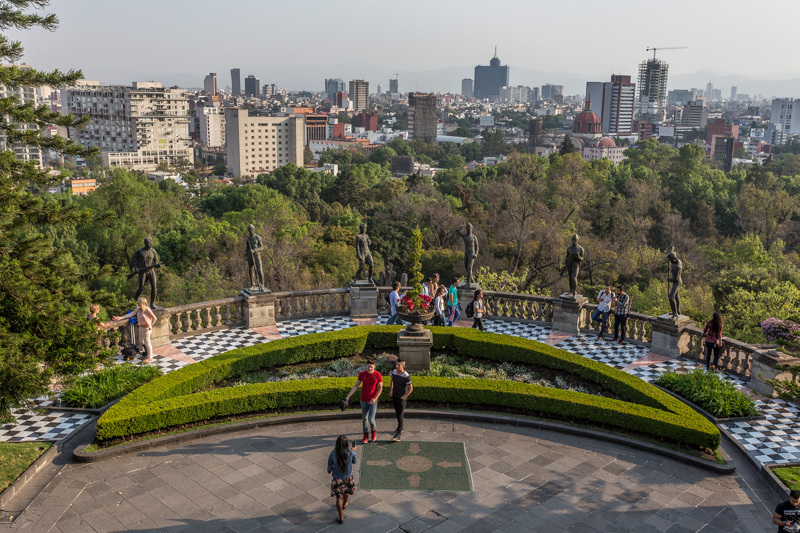 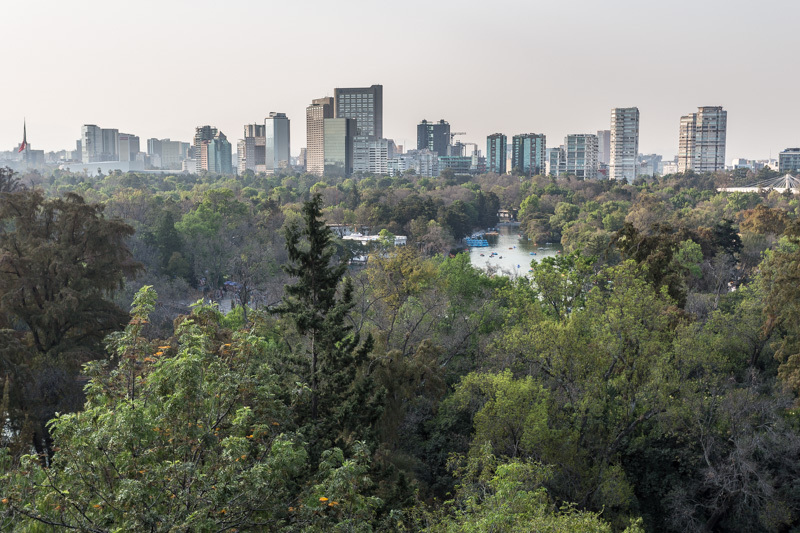 We arranged to buy a car from an Australian diplomat that was departing Mexico City, so at the end of January, we flew over to pick up the car to drive back to Guadalajara. 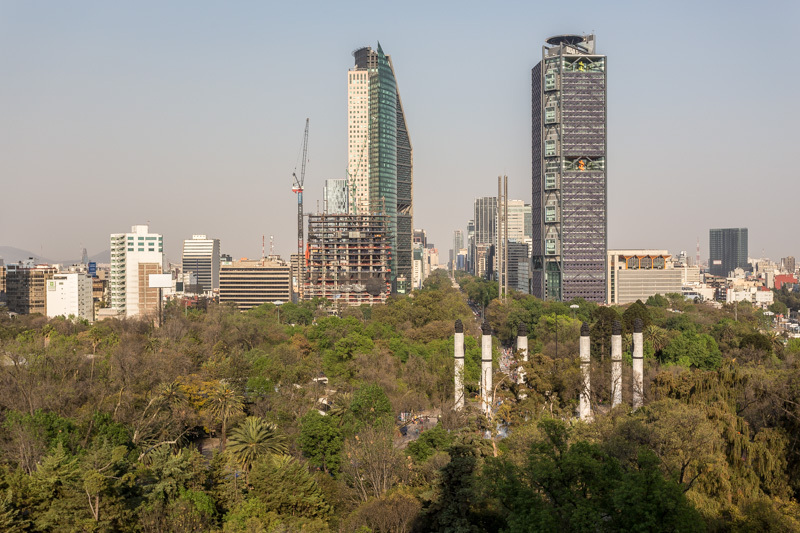 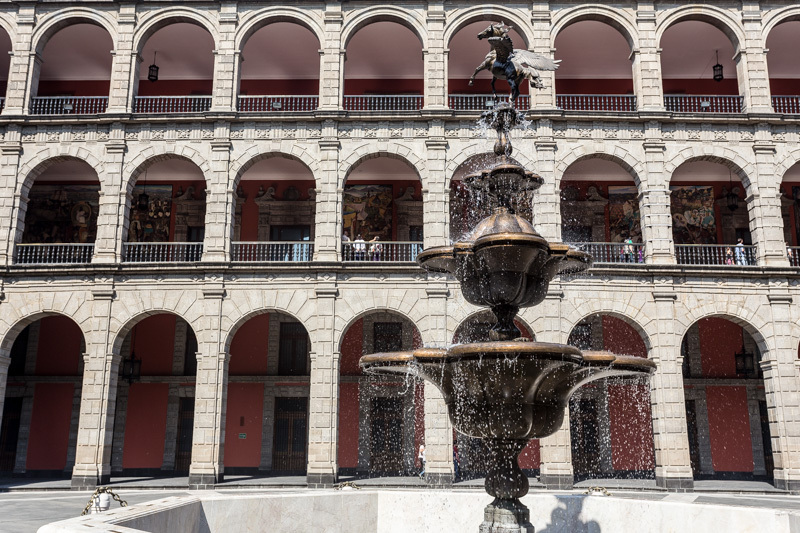 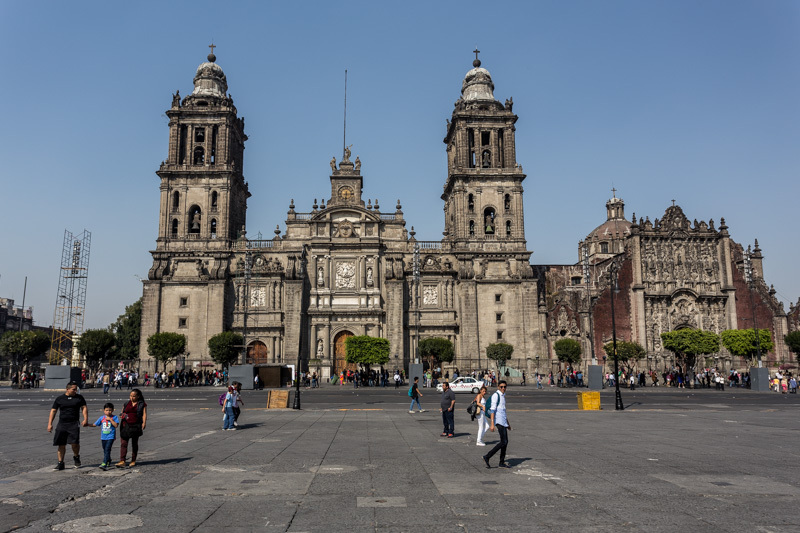 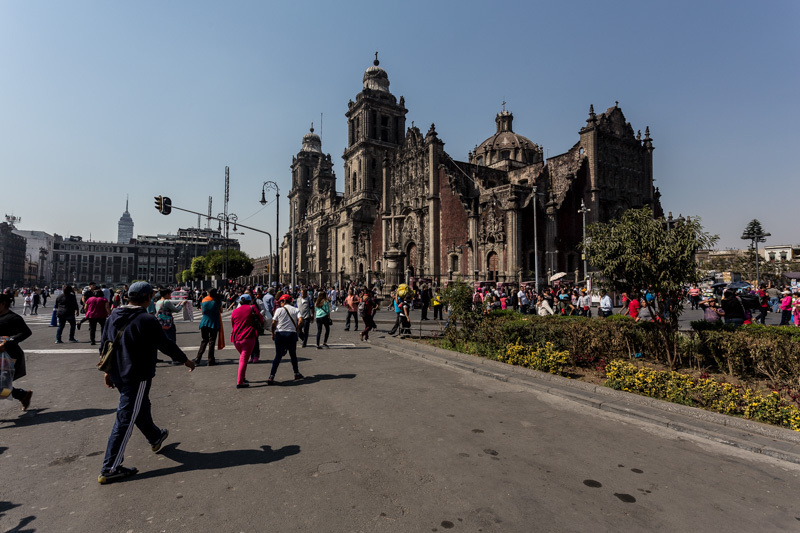 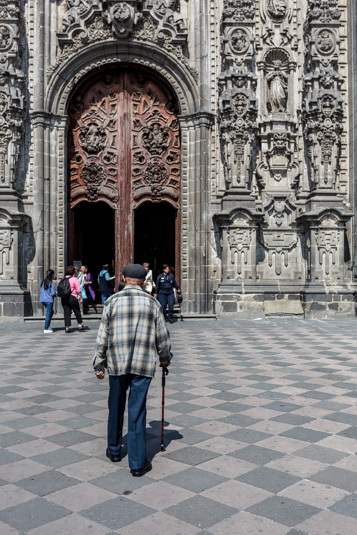 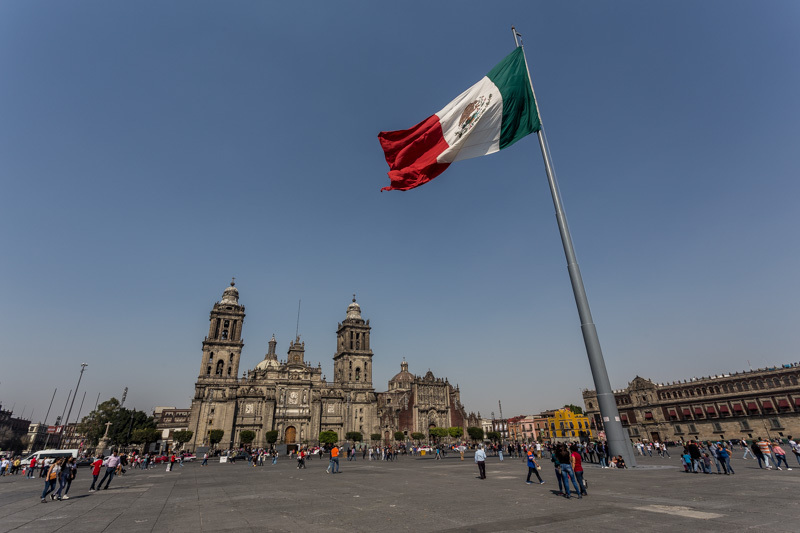 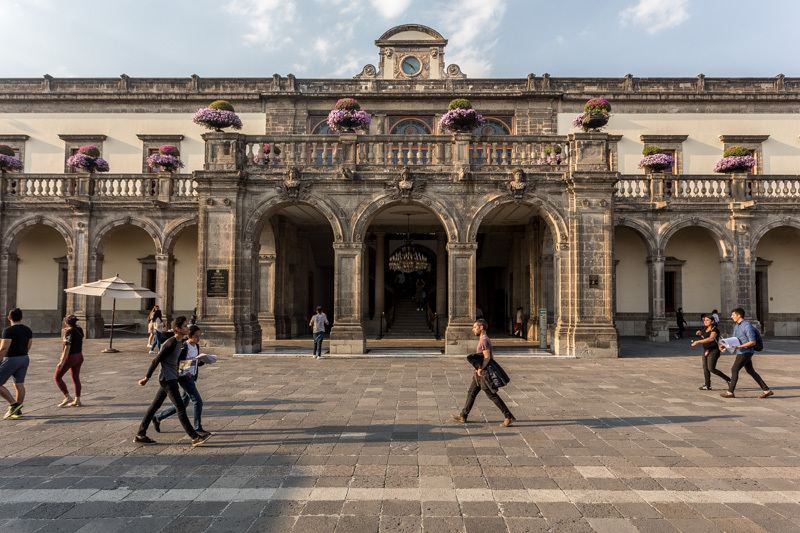 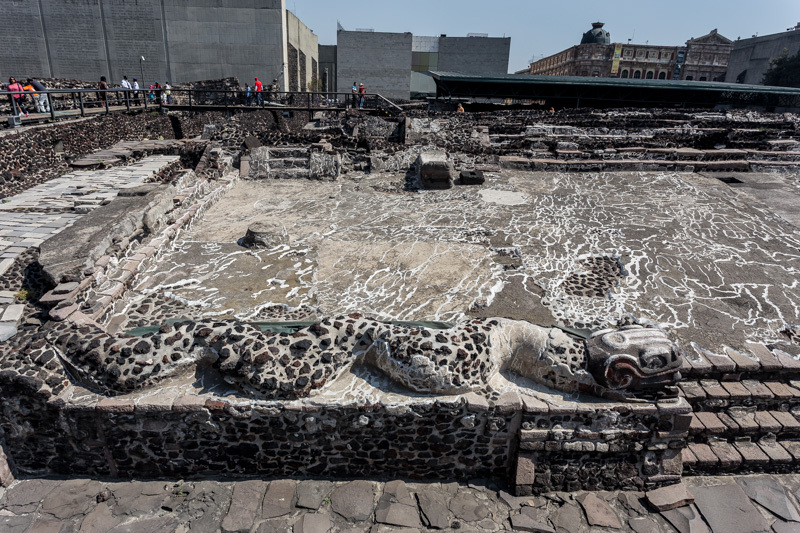 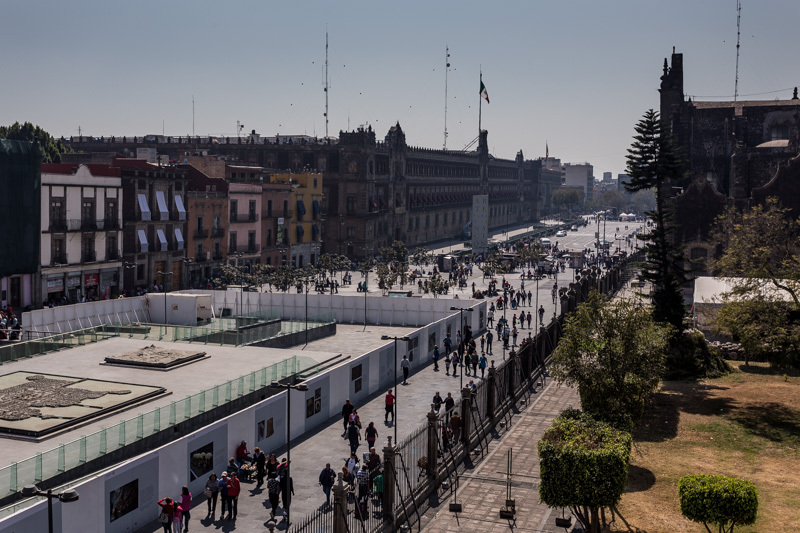 We had one night in Mexico City, so after arriving on a Saturday morning, we crammed in a full day of sightseeing, starting in the historic center of the city, known as the Zocalo, home to the Metropolitan Cathedral, the National Palace and the Aztec ruins of the Templo Mayor.